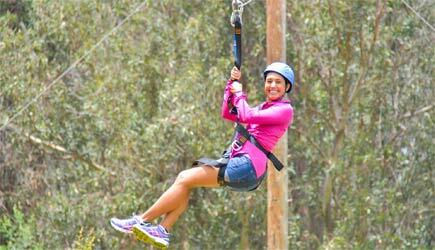 Haleakala Sunrise and Zip is offered daily. Transportation is included and you will be picked up at your hotel between 2am and 3am (times change seasonally depending on the sunrise). Continental breakfast before sunrise, park entrance fees, and either breakfast or lunch wrap(depending on the time of year) are also included. 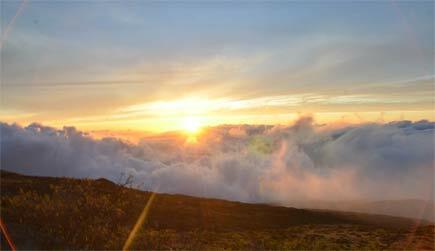 Witness the day begin from the 10,000 ft summit of Haleakala National Park. 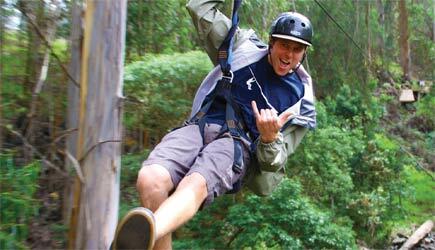 Next, just outside the parks along the slopes of Haleakala, is the 5-line Haleakala zipline tour. 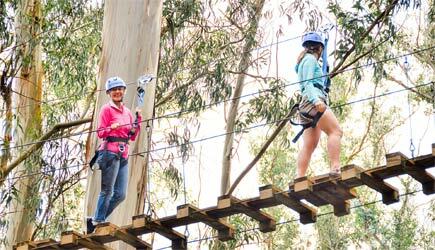 It features Maui's only pendulum line, Indiana Jones swinging bridge, over 90 foot drops and canyons, and a forest of eucalyptus trees. The minimum breaking strength of each zipline is over 26,000 pounds, and they have been tested to hold at least 5,000 pound. 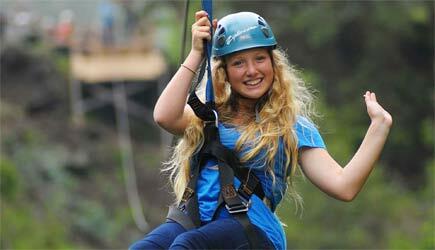 Thecarefully trained guides inspect daily all ziplines, trails, platforms, and equipment on every course. 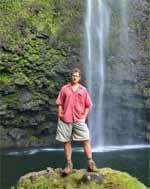 As you learn about the rich history of Maui, you will also experience the beauty and thrill of untouched Hawaiian nature. Minimum age is 8, and anyone under 18 must have a legal guardian present at checkin. All participants must sign a waiver of liability prior to taking this tour. Minimum weight is 60 pounds and maximum weight is 260 pounds. Pregnant women are not allowed to particpate. If you have a history of neck, back, or joint injuries or chronic heart problems, you should use your own discretion about their capabilities to safely participate in this tour. This tour includes hiking a 1/2 mile at elevation and over uneven surfaces, and guests me in good enough health to do this. There is no smoking on this tour. Tours go out rain or shine. A minimum of 48 hours notice is required for cancellations or changes. No scuba diving within 24 hours of the start of this tour. Hiking boots or athletic shoes are required. No Tevas, Keens, Crocs, 5 finger shoes, etc. They recommend shorts and a short-sleeved shirt, but white clothing is NOT recommended. Bring a light jacket, because it may get chilly at 4,200 foot elevation. If you bring a backpack, they will lock it up for you while you zip. They recommend bring sunscreen, and wearing clothing that helps block the sun. Glasses and sunglasses may be worn with a strap. 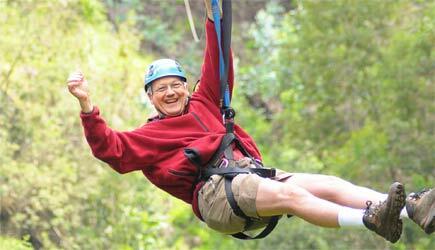 You can bring a camera at your own risk, and they recommend you securely strap it to yourself. 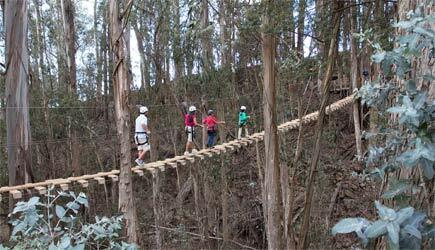 Due to the huge popularity of sunrise viewing from the top of the "crater", Haleakala National Park is in the middle of some massive changes to limit the number of tour companies and the number of rental cars inside the park during the pre-dawn hours. In order to drive a rental car to the summit for this expeience, you MUST obtain a permit weeks in advance. This tour avoids the hassle of having to arrange the permit, and also saves you the white-knuckle-in-the-dark drive in the middle of the night. They'll pick you up at your resort and you can catch a few zzz's on the way up the hill. There is a very modest amount of hiking on this tour, and the tour operator says you've got to be able to walk for a half a mile. You don't have to be a buffed athelete to do this tour, but you should be in reasonable physical condition and in overall good health. Oh, no upper arm and body strength is required. The harness and lanyard carry all your weight and you are securely clipped in. You wouldn't fall if you let go.